See the bold, new website for one of the South's largest capital equipment dealers. 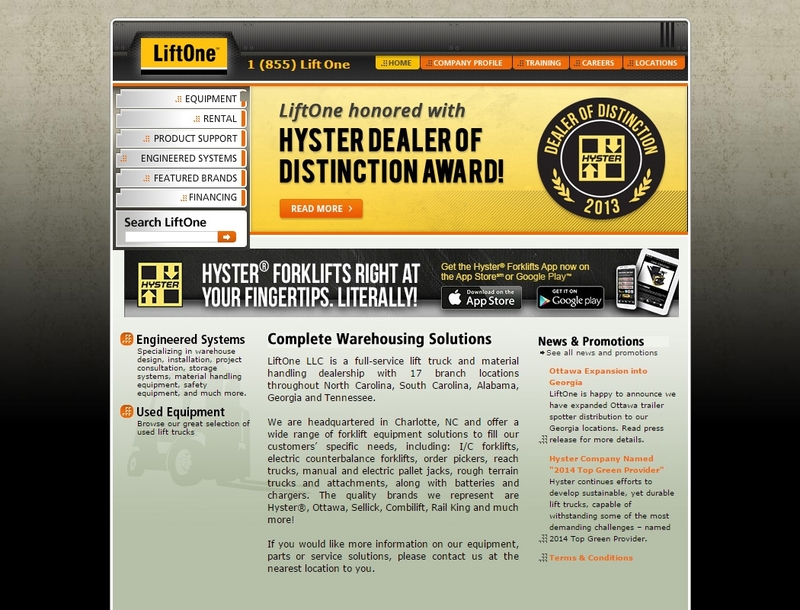 LiftOne is a fast-growing capital equipment dealer with 17 locations throughout North Carolina, South Carolina, Alabama, Georgia and Tennessee. 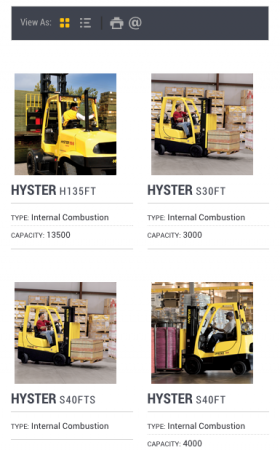 LiftOne prides itself on being a comprehensive, solutions-oriented partner for their customers—from new and used sales to parts, maintenance and service to custom warehouse systems. Just as LiftOne seeks to provide ease-of-mind with their customized solutions, Adpearance worked with the team at LiftOne to provide a full digital strategy, including digital advertising and a much-needed website redesign. In planning, our team set out to not just establish LiftOne.net as a destination for their customers to return as a resource for services, education and expertise, but also build a structure that allows for scale as LiftOne continues to expand its territory. 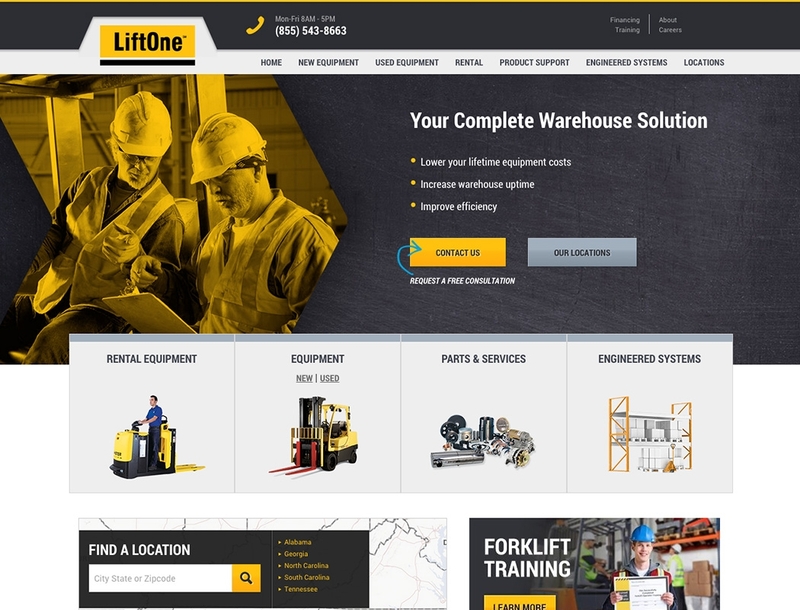 The Adpearance design team worked closely with LiftOne to redesign and build a new website, complete with a fresh, powerful look and a user-friendly interface with the goal to make it easy for users to inquire about new equipment, rentals, service, and warehouse solutions. Our digital advertising team put together a successful digital marketing plan that includes targeted keywords, custom-written AdWords, and a new set of display ads. Our digital advertising team at Adpearance put together campaigns that aim to improve the quality of LiftOne’s incoming traffic by targeting branded, industry- and product-specific searches. Our goals included an increase of visitors to location pages, new and used inventory pages, more form submissions, and more phone calls. We created custom ads based on inventory, optimized each campaign on a daily basis, and provided detailed reporting every month. Additionally, Adpearance created a brand style guide that would come in handy for content marketing and offline efforts. LiftOne's new responsive site looks great on all screen sizes. 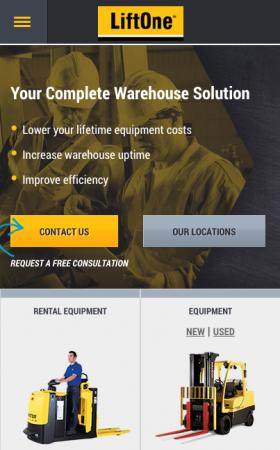 A mobile-friendly website puts LiftOne ahead of the curve in its industry. Easily navigate the site with the mobile-friendly menu and site architecture. 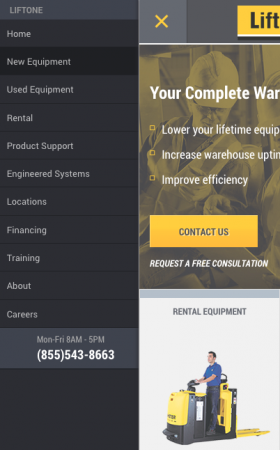 Browse new equipment easily on your phone. Compare details and get quick, at-a-glance information. We made it easy for users to contact LiftOne with clear, highly visable calls to action on multiple pages. 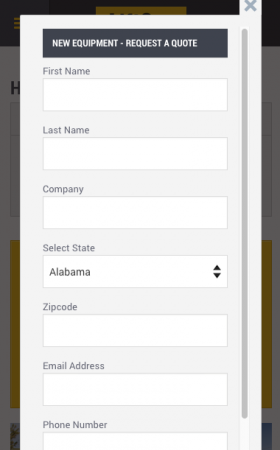 Contacting LiftOne is easy with user-friendly forms. 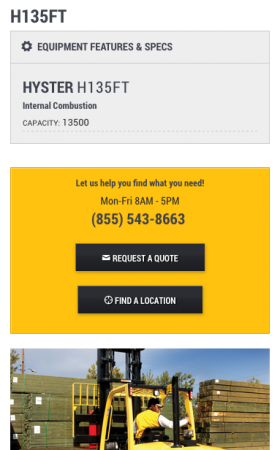 Even mobile users can quickly request a quote or more info. On the go and need to find a nearby location? LiftOne's new location page is responsive, too! Like what we did for LiftOne?